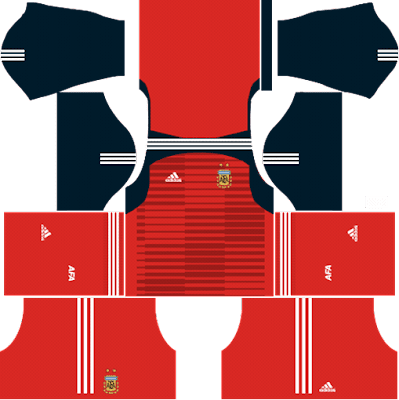 Get the Argentina World Cup Dream League Soccer Kits 2018 for your team and FTS15 android game app. As leaked on the webs, the Argentina 2018 jersey draws inspiration from the 1993 Copa America shirt, worn the last time Argentina won a major title. As practically always, the Argentina 2018 shirt features white and sky blue stripes. 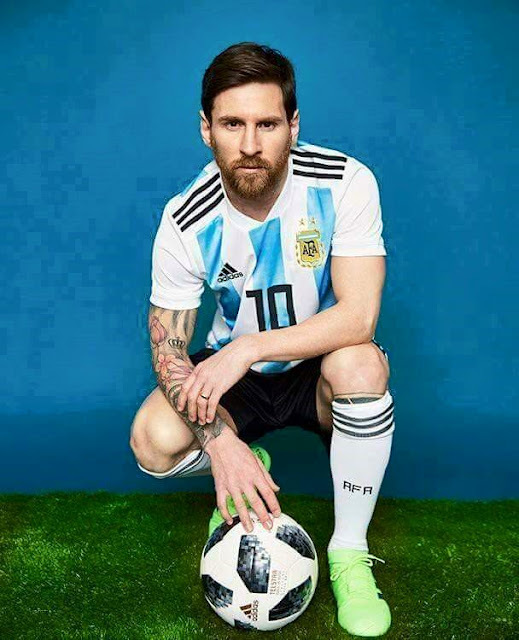 This time around, the base of the Argentina home jersey is mostly white, with three blue stripes on the front and back being the only parts in that color. 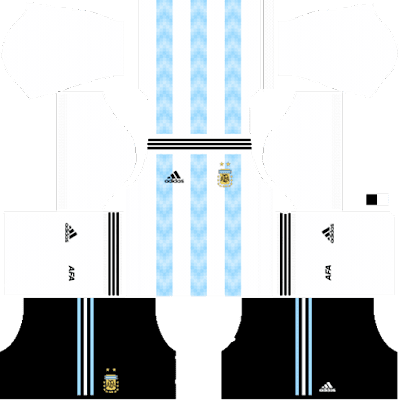 The collar of the Argentina 2018 kit is cut off at the front, inspired by the 1993 shirt which was on the Adidas Equipment line. The Adidas stripes are relegated to the shoulders of the Argentina 2018 home shirt, after they ran down along the sides on the previous design. Besides the rather oldschool design, the Argentina 2018 home kit (or at least the authentic version) stands out as one of Adidas' first football kits to feature the Climachill technology. 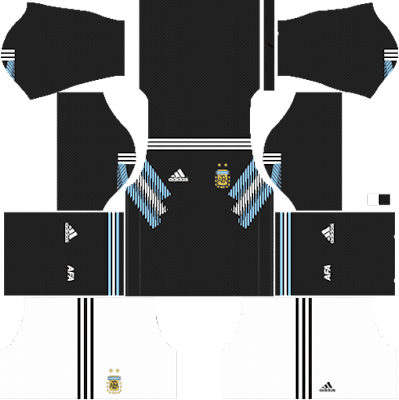 Black shorts and socks complete the Argentina 2018 World Cup home kit. Below you will get the 512×512 logo URL of Argentina national football team that you can import in the dream soccer league game.